Voice-driven machinery, robotics, AI, and cloud-powered sharing tools. New business technology is being developed every day, and technology firms are starting up in the thousands, hoping to wow the B2B market with their innovations. This is a worldwide phenomenon, with Quora estimating that there are around 100,000 tech start-ups a year. In the UK alone, Companies House data tells us that a total of 10,016 software development and programming businesses were incorporated in the last 12 months. 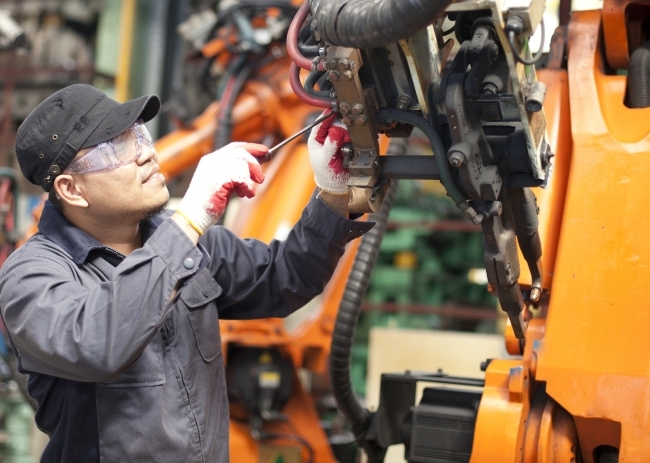 Scott Hays from Epicor explores what this means to manufacturers and the technology offers. There are countless new innovations for businesses to choose from, and business decision-makers are constantly being told to buy, migrate, or implement these technologies, or risk being left behind. But how can businesses justify the investment? There are now statistics available to prove that those businesses which invest in new technology, are able to set themselves apart from everyone else. The key is selecting technology that is right for your business, and can help your business get fit for growth. Our latest research, which explored the influences and impacts of business growth according to 2,450 business decision makers around the globe, has shown a telling discrepancy between the businesses that invest in technology, and those that don’t. Of those that reported strong business growth in the last 12 months, 57 per cent prioritised IT investment, suggesting technology has played a key role in their success. Among companies with weak growth however, just a fifth (20 per cent) had prioritised IT investment. These are some of the key findings from our Global Growth Index, which has been designed to monitor trends in how manufacturing businesses are growing around the globe. Although we have seen impressive overall rates of growth this year—up 3.7 per cent compared to last year—there’s an underlying consensus among the businesses we surveyed, that growth hasn’t been easy. Applied in the right way however, new innovations can help make the path to growth smoother. This is, for example, a reality in the manufacturing sector where our research shows that AI, robots, and highly automated machinery are now a common feature in a third of workplaces. The following five key reasons demonstrate in more detail how technology is helping manufacturing businesses to grow. In today’s fast-paced manufacturing environment, technology can help free up valuable employee time by generating efficiencies. To this end, over half of business decision makers agree that robotics (for example on the production line) have the ability to automate repetitive or mundane tasks that might otherwise take up a lot of employee time. Technology also comes with the added benefit of freeing up people to work on more creative tasks (40 per cent of businesses agree). This means that employees can concentrate on getting a business ready for growth, or developing strategies for growth, rather than spending too much time on day-to-day processes. According to our research, the majority of manufacturers (78 per cent) admit that attracting top talent with the right skillsets is no easy ride, suggesting that the industry might soon suffer from a lack of skills and internal knowledge. As already mentioned, to make up for a predicted shortfall in staff numbers, many businesses agree that technology, like robotics on the factory floor, can save them time and resources. Technology also serves the dual purpose of helping manufacturers to recruit, considering that 41 per cent of young people want the opportunity to work with the latest innovations. With the growth of the smart factory and all of its associated IoT connected devices, we are witnessing a huge growth in the amount of data generated along the production line. According to research, the performance logs from a single works machine can generate around 5 gigabytes (GB) of data per week, and a single smart factory can produce around 5 million GB a week (the equivalent of more than 300,000 16 GB iPhones). This presents businesses with an opportunity, as long as they have access to intuitive and intelligent systems. Those that can interpret data, and spot patterns and trends, will be able to gain insights and make informed business decisions. But this is no mean feat, and around a fifth (19 per cent) of businesses in our research rely on a single core business system, such as an enterprise resource planning (ERP) solution, in order to make good use of the data available to them. According to our research, 51 per cent of businesses were able to grow their overseas sales in the last 12 months. But some countries outstripped the performance of others, with over half of businesses in Singapore (67 per cent), Mexico (67 per cent), and India (65 per cent) growing their export figures during this time. No matter where in the world your organisation is based, overseas expansion can be difficult. One-in-ten businesses admit that working with overseas customers and suppliers is a challenge. This is particularly pertinent for businesses with large supply chains, or that need to address tax obligations across multiple regions. For businesses that are established in multiple territories, a third say that cooperation with different parts of the business is a challenge. In all instances, having a solution in place that can adapt, is key to managing processes effectively, accounting for international languages, and regional compliance requirements. Being able to analyse trends, understand what’s going on in the market, and then evolve products and services to suit, is vital for businesses that want to plan for future growth. This is something that pharmaceutical company, Allergy Therapeutics, has excelled in, and technology has been key to its success. By working with Epicor, the company can forecast and schedule stock replenishment and operations dynamically, in response to customer demands. In an industry where sudden high pollen counts can dramatically impact sales of antihistamines or other products, this means the company can accurately control its manufacturing and sales order processes, and drive up return on investment. In an environment where global giants like Amazon are increasingly disrupting customer expectations and supply chains, new technologies are crucial for getting businesses fit for growth. However, for any new technology implementation to be successful, the platform needs to be flexible. It must connect the top floor to the shop floor, it must allow for project teams to collaborate across borders, it must be scalable, and most importantly, it must allow for change. These requirements are all fuelling the adoption of cloud-based ERP solutions, which are increasingly providing businesses with the ability to get the most out of their new investments by spotting trends, interpreting data, and allowing different systems to communicate better with each other. 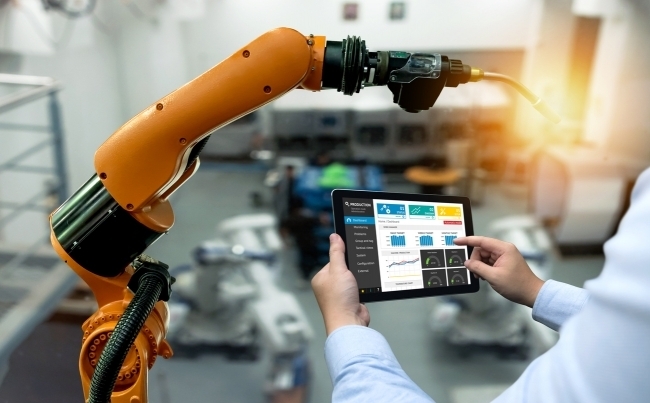 A modern ERP system can act as a central hub, connecting new manufacturing technology from robots in the factory to sales dashboards in the boardroom, to help fuel business growth. To find out more about the growth performance of businesses across the globe, take a look at our Global Growth Index.